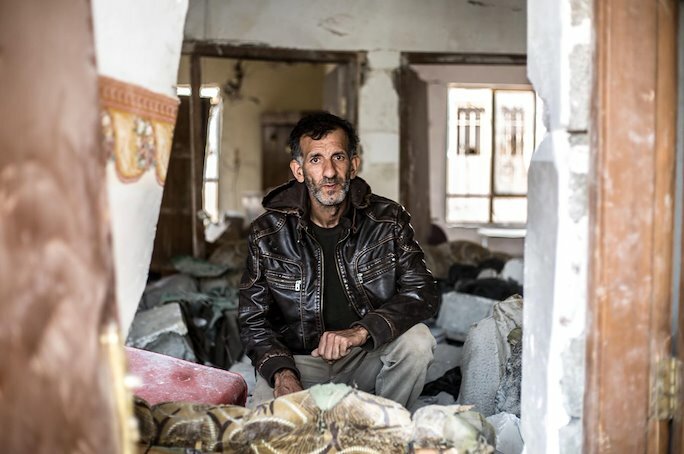 1, ‘This was my house, now is just rubble’, says Said, an Assyrian from a small village near Mosul who is 71 and lost his home to an allied airforce campaign pushing out Daesh insurgent warriors. 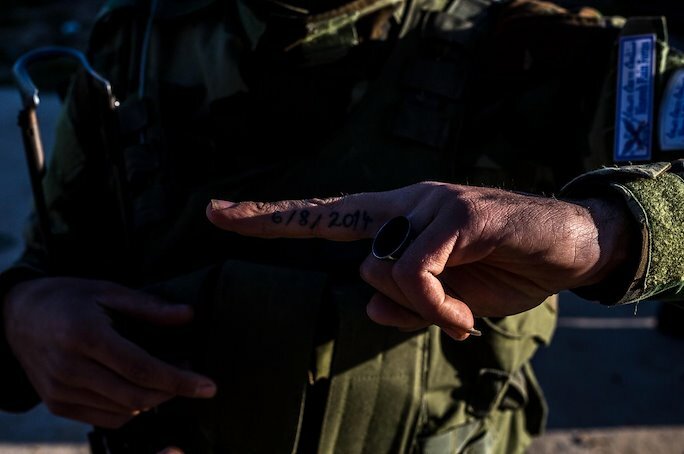 2, To remind him, a soldier from northern Iraq in the Nineveh region tattooed a date on his finger when he and his family had to run away from their homes because of ISIS. 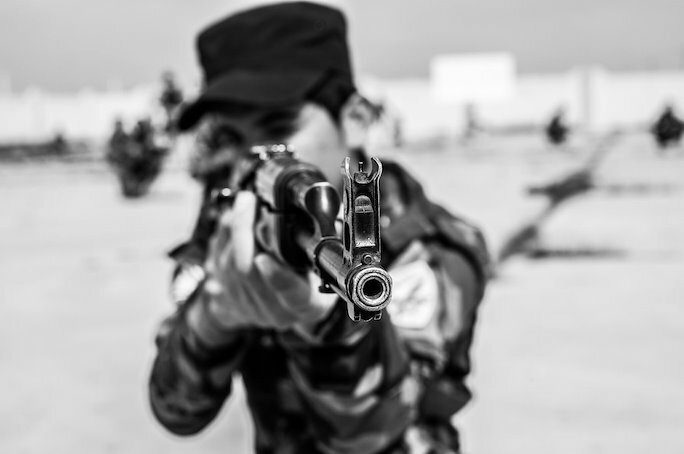 3, Training squad tactics in an abandoned town near the war frontline with the self called Islamic State or ISIS/ISIL. Sometimes mortars and rockets are flying over us, just keep your hand steady. 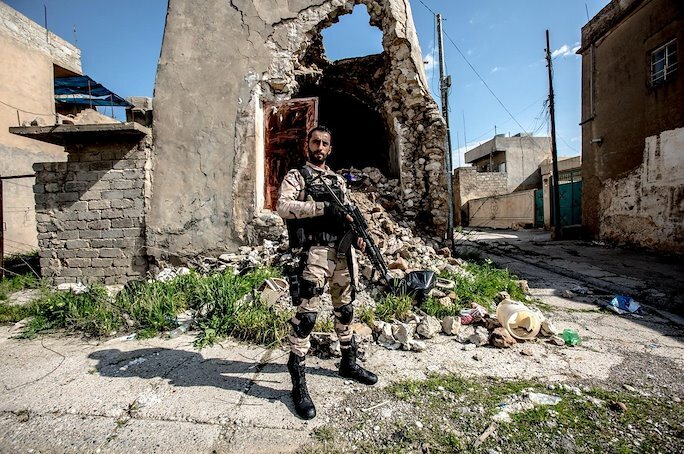 4, Assyrian soldier who is called Valentino by friends grew up near Mosul and witnessed many atrocities when the insurgents from ISIL took over his town. “Some of my muslim friends turned ISIS, I cannot understand that” he says and doesn’t want to get into details, just replies; “You have seen the videos online, it is just like that, crazy”.